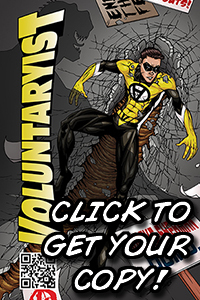 Thank you again for your patience in the adjusted delivery timeline for Voluntaryist Origins II! I am excited to share with you this next sneak peek with flatting colors! I have been told by Short Fuse that they are nearing completion with colors and I should be getting them in full later this week. Looking forward to sharing a detailed colored cell with you next! 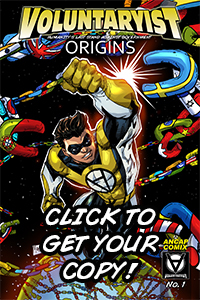 It’s been a blast working on this issue and I cannot wait to share more leading up to the release date! 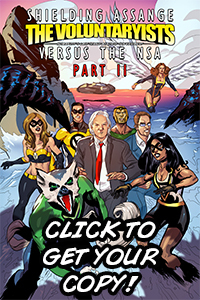 Check out our 3rd and final sneak peek of our latest comic issue, Shielding Assange: The Voluntaryists vs. the NSA 2. 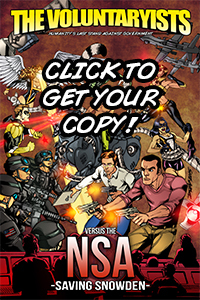 Looking forward to the best released issue yet! Take a look at Putin on sneak peek No. 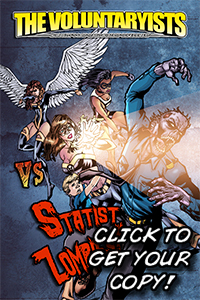 3 from our latest issue, Saving Snowden: The Voluntaryists versus the NSA.